FMCBC September 2018 e-news: Updates from our Executive Director, Bridal Falls Gondola application, Budget 2019 consultation reminder, and more! A meeting at MEC Vancouver, sponsored by BC Parks, regarding BC Parks messaging and outreach. There were some 45 individuals representing many provincial organisations in this focus group. BC Parks was trying to understand park visitors and their behaviour, why and what it is they do and what can be done to improve messaging. The report that will be forthcoming will be worthy of comment. The Union of BC Municipalities (UBCM) convention in Whistler. In addition to brief meetings with Premier Horgan, Minister Heyman, Andrew Weaver and Andrew Wilkinson, Janyk met with many other MLAs, provincial staff (including a few key Deputy Ministers and Assistant Deputy Ministers) and, of course, local government representatives from around the province promoting the Fed’s ambitions. At UBCM, two significant resolutions that the FMCBC was particularly interested in were endorsed. The fact they were endorsed assists us greatly, as we can now use them to iterate to government that local governments support these initiatives and that they should boost the province to get to work on the policies endorsed by UBCM. Full wording of the resolutions, B45 Increased Visits to Provincial Recreation Areas (Squamish-Lillooet RD) & B72 Backcountry Tourism (Pemberton), can be found here. 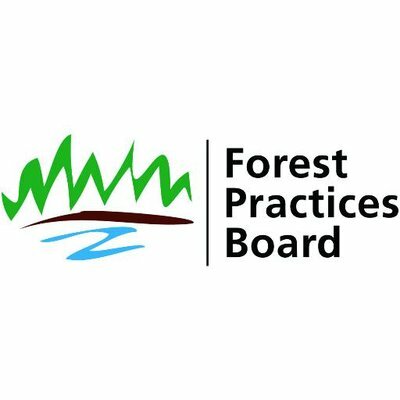 Last month, we shared a couple of letters regarding the BC Forest Practices Board’s Special Report on the Management of Forest Recreation under the Forest and Range Practices Act (FRPA). We’re pleased to share one more letter, this time from the Alpine Club of Canada - Vancouver Island Section. Don’t forget that the public comment period closes on Oct. 5th for the application for a proposed gondola near Chilliwack. The FMCBC’s Southwest BC Recreation & Conservation Committee likes the idea of improved access to this area, but are concerned about the impact on the mountain environment, ecology and recreational opportunities. They are busy preparing a response, which we’ll share will you shortly. A gentle reminder (nudge, nudge) that we’re getting ready to put together the Fall/Winter 2018 issue of Cloudburst. That means we’re on the hunt for articles, stories, photos, poetry, trip reports, book reviews, and other backcountry delights. We’re also looking for a wintry cover photo, so please take a minute to dive into your archives and send us your favourite shot(s). All submissions can be sent directly to stacey.santos@mountainclubs.org no later than Oct. 15th. Budget 2019 consultations are well underway, but there’s still plenty of time to voice your support for increased funding to BC Parks. The deadline for all public input is Monday, October 15 at 5:00 pm. You can make a written, audio, or video submission; fill out the survey; or attend or participate in the remaining public hearings: Esquimalt (October 9), Mission (October 10), and Surrey (October 11). More information can be found on the Committee's Budget 2019 Consultation website. And if you need some inspiration, you can check out a few past submissions to the Committee: a written submission from the FMCBC, a presentation from the FMCBC, and a written submission from the Outdoor Recreation Council of BC. Congratulations to the Alpine Club of Canada - Vancouver Island Section on the completion of the 5040 Hut (including its eco-friendly outhouse, which was funded in part by an FMCBC Member Club Grant). The grand opening is scheduled for Oct. 20th, 2018 and everyone is welcome. 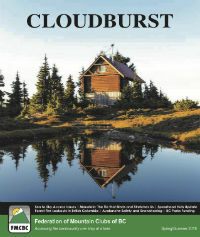 For photos of the “loo with a view,” be sure to check out the upcoming Fall/Winter 2018 issue of Cloudburst. Beginning at 7 AM (PST) on Oct. 1st, you can reserve a spot for next year for the Berg Lake Trail and Bowron Lake Canoe Circuit. Reservations are made through Discover Camping. In 1977, British mountaineering icons Doug Scott and Chris Bonnington made the first ascent of The Ogre in the Karakoram. Their descent from the summit in the dark became an epic after Scott sustained two broken legs and Bonnington broken ribs. For the first time in Canada, at Courtenay’s Stan Hagen Theatre on Oct 26th, Scott will recount the dramatic story that has since entered into mountaineering folklore. Both Scott and Wood will be available to sign their new books after the show. Proceeds go to the UK-registered charity Community Action Nepal. Click here for show details. (Note: Scott will also be in North Vancouver on Oct 19th and Banff on Nov. 2nd, in case those places are more in your neck of the woods.) Also, stay tuned for a review of Scott’s book, The Ogre, in the upcoming Fall/Winter 2018 issue of Cloudburst. Do you have information on West Nootka Island? Particularly on the conservation of the area and whether or not the Nootka Coastal Land Use Plan (2001) was ever adopted? We want to know! Email stacey.santos@mountainclubs.org if you have info to share. Here are some solid Letters to the Editor clipped from the Vancouver Sun: "Skagit watershed shouldn't be logged; protect it as a park" and "Benefits of preservation outweigh gain from logging." North Shore Rescue sadly announced that one of their early, significant members, Ole Edliq, passed away on the 11th of September, 2018. Thanks to Heather Burles of the Chilliwack Outdoor Club for this month's feature photo. The photo, taken this September during a COC day hike from Elfin Lakes to Opal Cone, showcases the early snow on Atwell and Garibaldi Peaks. Hard to turn your back on a view like that! Click here to view our Spring/Summer 2018 issue of Cloudburst. Copyright © 2018 Federation of Mountain Clubs of BC, All rights reserved. You are receiving this newsletter because your local outdoor club is a member of the FMCBC or you have signed up to receive our newsletters.